London: Kids, especially boys, who start walking, running and jumping early at 18 months of age are more likely to have stronger bones later in adulthood, a study has found. 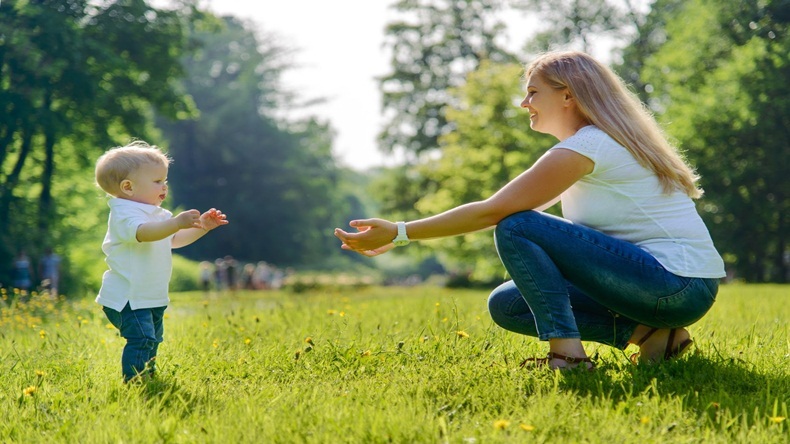 These movements in toddlers place a stress on the bones, causing them to become wider and thicker, thereby making them stronger than those in children who may not be moving as much, the study said. The findings from the study may help to identify who is at a greater risk of osteoporosis and bone fractures in later life. “The findings are intriguing as they provide a link which wasn’t previously understood, primarily that how we move as a young child can have ramifications for our bone strength even 16 years later,” said lead researcher Alex Ireland from Manchester Metropolitan University in Britain. “Being more active gives you stronger muscles which can then apply bigger forces to the bones as we walk, run or jump, helping to strengthen bones as we grow older,” he added in the paper published in the Journal of Bone and Mineral Research. The team analysed 2,327 participants from children born in the early 1990s. Their movement was assessed at 18 months, and hip and shin bone size, shape and mineral density was measured at 17 years of age for both males and females, by scanning with X-ray absorptiometry and peripheral computed tomography. The findings showed the effect was more pronounced in males than in females, suggesting early movement plays less of a role in female bone strength. “Importantly, the results could have implications for later life by helping medical practitioners to anticipate and detect those who are at a greater risk of osteoporosis or fractures, thus helping them to devise prevention and coping strategies,” Ireland stated.